The conjunctiva lines the inside of the lids and covers the sclera (white part of the eye). The cornea lies in front of the colored part of the eye (iris). A pterygium (from the Greek word pterygion for wing) is a slightly elevated, superficial, wing-shaped, fleshy conjunctival growth that covers and alters the shape of the cornea. It may be yellow, gray, white, pink, red, or even colorless. It may have blood vessels. Pterygium may be small or grow large enough to interfere with vision. Most patients with pterygium contact ophthalmologists either due to concern regarding the appearance of the lesion or because the lesion is irritating the eye or it is adversely affecting vision. Typically, the pterygium is first noticed on the conjunctiva and then is noted to gradually grow onto the cornea of the eye. When the growth is confined to the conjunctiva, it is known as a pingueculum. When it extends onto the cornea it is called a pterygium. Left alone, some pterygia will eventually grow to obscure the optical center of the cornea, thereby obstructing vision. A pingueculum may develop into a pterygium. Commonly found in individuals who spend a lot of time in the sun or live in dry, windy, smoky, dusty, sandy tropical climates. Reported to occur in males twice as frequently as in females. Almost always confined to the exposed surface of the conjunctiva, and usually on the side closest to the nose. Less often, it can also occur on the outer side of the cornea. One or both eyes may be involved. Some pterygia grow slowly throughout a person’s life, while others stop growing after a certain point. Pterygium is an alteration of normal tissue resulting in a deposit of protein and fat. Not dangerous (non-malignant) but can become uncomfortable. Usually, a pterygium does not lead to anything catastrophic such as a serious loss of vision or blindness. Can eventually distort vision due to growth onto the cornea, and eventually even onto the central part of the eye blocking light from entering. Removing a pterygium surgically will take care of the problem. The rate of recurrence is as high as 40%, and they tend to come back bigger and faster. Ultraviolet light exposure (both UV-A and UV-B) appears to be the most significant factor in the development of pterygium including living in subtropical and tropical climates. People living near the equator are often affected. Pterygium is rare in children. People who spend considerable time in the sun (for example, farmers, fishermen, surfers, skiers, golfers, and gardeners) are much more likely to have pterygium than people living mostly indoors. Engaging in occupations that require exposure to ultraviolet (UV) light and arc, for example, welders. Other agents that may contribute to the formation of pterygia include allergens, noxious chemicals, and irritants (e.g., wind, dirt, dust, air pollution). A genetic predisposition to the development of pterygia appears to exist in certain families. Some studies report a higher prevalence of pterygia in men than in women, and this may reflect different rates of exposure to UV light. There is a higher rate of pterygium in people living near the equator. In the United States, the incidence is less than 2%. In Florida and California, the incidence is close to 4%. By the equator, the incidence goes up to 20%. The symptoms described above may not necessarily mean that you have pterygium, but because pterygium can sometimes look similar to more serious eye growths, it is important to have your eyes checked by an eye doctor. 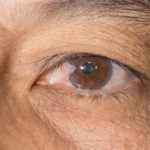 Although some people with pterygium constantly feel like they have a foreign body in their eye, others are asymptomatic. 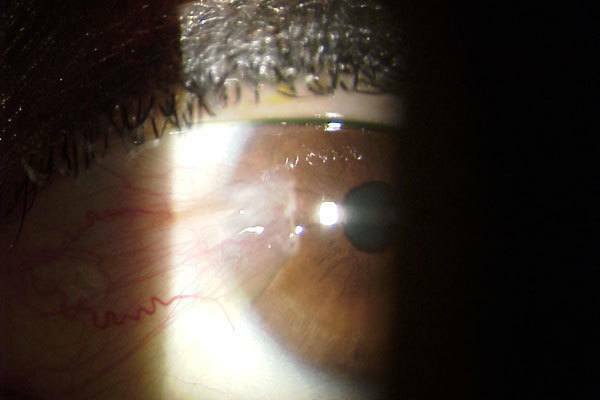 In most cases, a routine eye exam reveals pterygium in asymptomatic individuals or in patients who present with cosmetic concern about a tissue “growing over the eye.” People with pterygium should be seen by an ophthalmologist annually, so that encroachment on the pupil can be recognized and treated before interference with vision. External slit lamp measurements or photography can assist your eye doctor in following the progression of the pterygium. Pterygium Surgery Union CityThere is nothing that has been clearly shown to prevent a pterygium. However, because the presence of pterygia has been linked to exposure to UV radiation, it is a good idea to minimize exposure to sunlight (UV radiations) by wearing protective eyewear with good ultraviolet blockage, or at least hats with brims. 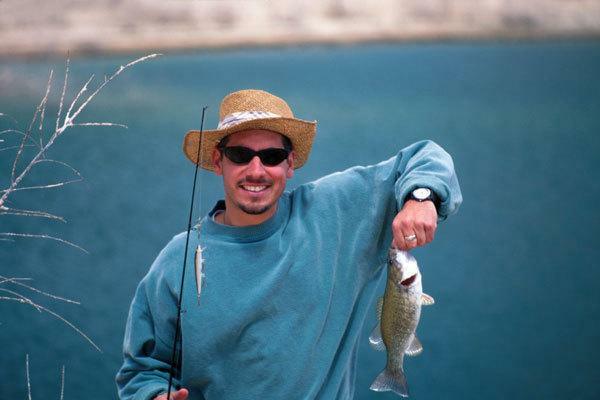 Consult your eye doctor about protective coatings on sunglasses or regular spectacles. Protecting the eyes from sunlight, dust, and other environmental irritants may prevent pterygium to develop. Fortunately, most cases of pterygium are not serious and surgery usually is not necessary. Most pterygia grow slowly and almost never cause significant damage, so the prognosis is excellent. Again, a diagnosis must be made to rule out other more serious disorders. The risks of pterygium excision surgery are low and, in general, if the pterygium is excised before it encroaches to the center area of the cornea, the prognosis for post-operative vision is excellent. Pterygia often come back after surgical removal. This recurrent-pterygia probably have no relationship with exposure to ultraviolet radiation. A conservative approach is recommended for most people. Artificial tears can be used to relieve the sensation of a foreign body in the eye and to protect against dryness. When a pterygium becomes red and irritated, topical eye-drops or ointments may be used to help reduce the inflammation. If you suspect you may have pterygium, be sure to visit your eye doctor for proper treatment and a discussion of available options for you. Evaluation by an ophthalmologist will help determine the most optimal treatment in each case. If a pterygium is small but becomes intermittently inflamed, your ophthalmologist may recommend a trial of a mild eye drop during acute inflammatory flares. If these drops are recommended, you should remain under the care of your ophthalmologist to ensure that you do not develop side effects from the use of these medications. In some cases, your ophthalmologist may recommend surgical removal of the tissue. Discomfort: If a pterygium is causing excessive irritation due to dryness/inflammation or a persistent foreign body sensation. Vision: If a pterygium is obstructing vision. Cosmetic: If a pterygium is unsightly or cosmetically unappealing. Surgery is the only way to remove a pterygium, but the results can be disappointing. 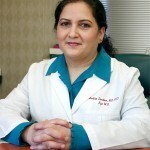 Even with modern techniques, the recurrence rate is often as high as 30 to 40 percent and they tend to come back bigger and faster. Surgery for excision of pterygia usually is performed in an outpatient setting under local or topical anesthesia with the patient returning home the same day. Pain is uncommon. The pterygium is carefully dissected away. Postoperatively, the eye generally is patched overnight and healing typically takes many weeks with patients applying prescribed topical eye-drops or ointments several times a day. In the early phase of healing, the eye may be slightly swollen and bloodshot in appearance. Eventually, the surgical site improves in comfort and appearance. Neovision is proud to offer a new technique for the surgical removal of Pterygium called No-Stitch Pterygium/Autograft Surgery. This technique allows the abnormal corneal tissue to be removed and then replaced with a thin graft of normal tissue. This allows the eye to return to a normal look after a 2-3 week recovery. If you have any concerns about pterygium in your eyes, schedule a free consultation with NeoVision Eye Center at 510-431-5511 (Union City).